Best wet cat food, best canned cat food, healthiest raw cat food? You love your cat and you want to feed him the best cat food. But there is so much information out there from cat nutritionists, your veterinarian, cat blogs, your cat friends….whom do you trust? Should you feed your cat the best wet cat food, the best dry cat food, home-cook for your cat, or feed your cat a raw cat food? I’m certainly not going to tell you how to feed your cat a healthy diet, nor am I going to do a cat food review today. But, I will share with you a few things I’ve learned over the years from my research and the personal recommendations for my cats with the guidance and help of a few of the best holistic veterinarians. Let’s talk cats and cat nutrition first. Think about a cat in the wild. I know our indoor cats are not wild. But that doesn’t change a cat’s biology and what a cat needs to eat to thrive. I repeat: what a cat needs to thrive, not survive. You have probably heard the term “species appropriate diet.” Cats are, first and foremost, obligate carnivores. An obligate carnivore is an animal that must eat other animals in order to thrive. Meat must be their main source of protein and nutrients. They can and do eat other real foods such as fruits, vegetables, and grains, but only a small quantity. This is typically achieved by eating the stomachs of other animals, or nibbling on fresh food in the wild, like when cat chews on cat grass or houseplants when given the opportunity. Wild cats typically kill and eat small mammals such as mice, rodents, rabbits, birds, small fish, reptiles, and squirrels. They are not eating processed foods such as corn, wheat, or cellulose. Just looking at a cat’s mouth and teeth can show you how a cat is designed to eat. These carnivore teeth are meant to shred, rip, tear, and gulp, not chew or grind their food (think cow teeth). So, no, a dry cat food marketed to help with dental care by chewing is not going to do much. What’s the best grain-free dry cat food brand? There isn’t one. First, let’s look at dry cat food. Dry cat food is by nature, well, dry. Cats, dogs, people… we all need a lot of moisture in our diets. Our pets and we ourselves don’t typically get enough moisture to begin with, so feeding a cat a diet with low moisture and a lot of carbohydrates is not ideal for a cat designed to eat high-moisture, high-meat food. Adding water to a dry cat food just isn’t going to cut it. Dry cat food is so highly processed by the high heat (to kill all the rotten mold and chemicals from the “food”), that it destroys any beneficial minerals, vitamins, and nutrients. Sure, the pet food company adds them back in at the end, typically in the form of synthetic vitamins, but the real nutrients are long gone. I won’t even go into how nasty rendering plants are; I will save that for another post. You might be thinking to yourself how your cat does just fine on a dry cat food and maybe even seems healthy. Cats are very resilient and can adapt to a dry cat food, but there is no way around it – feeding a cat a dry cat food is not in their best interest. What about finding the best wet cat food? Wet cat food by far trumps dry cat food. With a wet cat food, your cat has the benefits of moisture. Yeah, moisture! The down side on feeding your cat a canned or wet cat food is that you will need to do a little research to find the best wet food for cats. 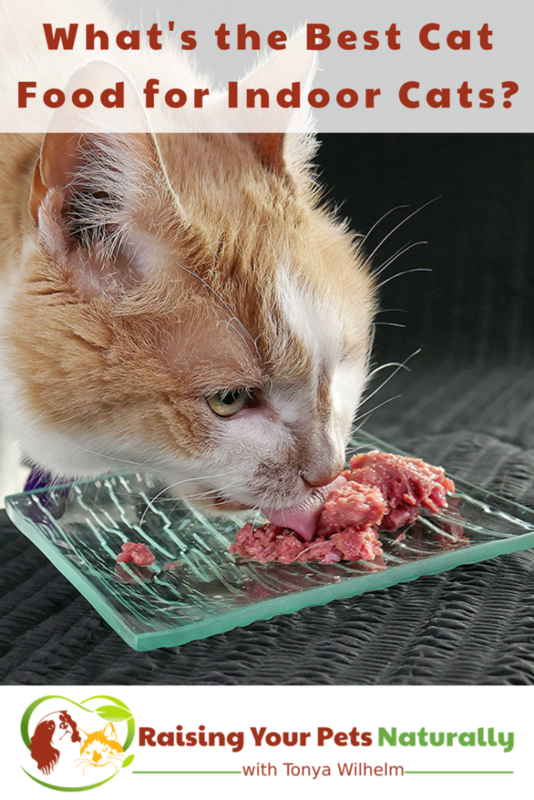 Cats need a high MEAT protein, not just a high protein diet. Protein is found in a lot of foods, so a pet food brand may promote their brand as high-protein, but that does not mean high meat. So, you will need to read the ingredient panel to determine if you are feeding the best wet cat food, or one that is filled with a lot of “other” ingredients. You should also be avoiding binders such as carrageenan, guar gum, xanthan gum, and tapioca. These binders not only bind the cat food together, but also can cause constipation and colon issues. Raw cat food or a home cooked cat food is by far one of the best ways to ensure your cat is receiving a healthy and optimal diet. Both raw cat food and a cooked cat food diet are healthy; it comes down to your preference, the preference of your cat and the health of your cat. A raw pet food diet can either be prepared at home from scratch, or through a quality raw pet food brand. If preparing your cat’s food at home, it is important to learn how to create a properly-balanced diet. Unbalanced pet food is worse than a poor-quality commercial food. 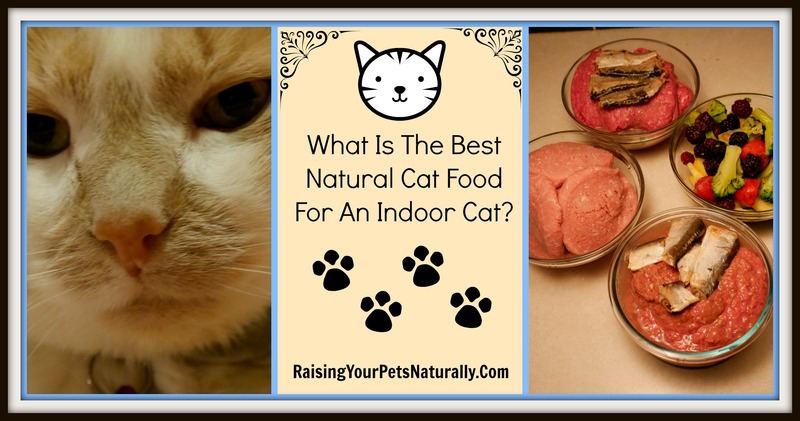 Learn how in my post: Real Food For Cats. When choosing the healthiest diet for your cat, remember these two words: MEAT BABY! Do you cook or feed your cats a raw diet? Tell me in the comments. I’ve tried to get Rhette on a better diet since he came to live with us. I finally got him to eat wet food but he loves his kibble. I tried a new natural one for indoor cats but he still wants his old stuff. Cats! Cats can be tough. I would try cooked meat as a treat before a meal. Room temperature or slightly warm. For one of our cats, we took a dehydrated raw and crumbled it to a powder and placed a little on top of the food. Then, slowly transitioned. Good luck! It can be difficult to get a cat to eat raw, but I am going to try. One of my three respectfully declines. 🙂 Raw fish he will eat, but rest is not going down… You have a great and important site!!! I have 2 cats, Missy and Matt, both rescues. I have learned so much from your post, and your followers, of your advice. Will you please add me to your readers? Thank you.